Author: Moore, Susanna Set In . . . Description: The islands of Hawaii have often served Susanna Moore as the canvas for her lush and haunting novels. In I Myself have Seen It, she proves the mystery, beauty, and myth of her native islands to be every bit as compelling as her fiction. She interweaves her own memories of growing up in Honolulu in the 1950s and '60s with a concise chronicle of Hawaii's two-hundred-year encounter with the West. Seeking the elusive heart of Hawaii, Moore revisits the small rural island of Kauai. In the breathtaking landscape, she discovers that old, unwritten songs of Polynesia have survived despite the onslaught of missionaries in the early 18th century, the establishment of Hawaiian-language newspapers, and foreign attempts to free Hawaiians of their pagan superstitions. 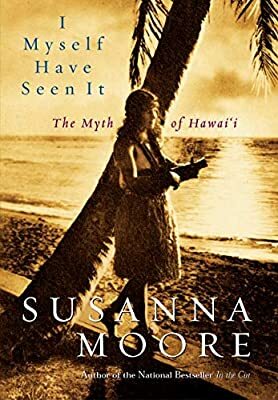 These songs and the ones engendered by them, written by queens and hula masters alike, become the centerpiece for Moore's mesmerizing discovery of the real Hawaii.